November 6, 2018 at 2 p.m. – Suning Holdings Group Co., Ltd. (SHG), the largest physical retailer in China and one of the Fortune Global 500 companies, announced its in-depth strategic cooperation with Shanghai PATEO, China’s IoV industry leader at the First China International Import Expo (CIIE) - Suning Global Sourcing & Supply Summit, marking another deep strategic handshake of the two sides after SHG led the A+ round financing of PATEO in July 2017, whereupon their business integration will be more stable. After the financing, PATEO has been making an active effort to deploy the future IoV, build a more open and harmonious ecosphere, and realize resource & capability sharing with Suning. The two sides will make an overall planning & arrangement in depth for the smart retail, new finance and new mobility fields, with the intention of coming up with new innovations and promoting cooperation & win-win. During the past seven years since 2011, SHG has completely transformed into an OMO (Online Merge Offline) Internet retail enterprise through the evolvement from Plus Internet to Internet Plus. From January to September this year, the total retail sales of consumer goods in China reached 27.43 trillion yuan, a cumulative year-on-year growth of 9.3%. In this macro-environment, the cumulative transaction volume of supply chain finance in the Suning ecosphere increased by 43.63% year-over-year during the same period, which can give us a rough idea of its position in the industry. PATEO Group based in Shanghai is currently an IoV enterprise boasting the strongest core competence, the most extensive customer resources, the best user experience, the most in-depth partners, the strongest team capability, the most intellectual property rights and the highest innovation capability in China, with businesses covering in-vehicle data, automotive electronic hardware, operating systems, software, voice AI & map integration, TSP service operations, PaaS & SaaS cloud services for intelligent vehicle (IV), payment, communications operations and the business model for new CASE (Connected, Autonomous, Shared and Electric) Vehicles. The two companies have something very significant in common: the leading level of industry skills and professionalism, great achievements in the smart field, as well as an open and win-win attitude. It was announced at the Boao Forum for Asia that took place in April 2018 that China will expand its opening up to promote the full integration of all walks of life in China with the global market. Given this new revolution ahead, the future, while ushering in bright prospects, will also bring pressure. Taking China’s auto industry as an example, in the future the Chinese brands will focus on the new CASE fields, namely, the Connected / Autonomous / Shared / Electric Vehicles. Now PATEO has deployed a layout in this regard, but hasn’t been involved in the retail industry, which is the very field of expertise of SHG who takes smart service as one of its main offerings. In 2017, the Automobile Supermarket under SHG entered the market, and has ever since successively established a presence in major cities across the country, just like Suning Xiaodian. This concept that can be understood as "N 4S car dealerships + auto parts city + car service provider + car e-commerce giant" breaks the bottleneck of the 4S stores who only operate a single brand, and brings consumers a brand new car-buying experience. The Chinese automotive industry is experiencing rapid changes, transforming from the previous simple model of "OEM — Dealer — Secondary & Tertiary Outlets" to all-round intelligentization. SHG-PATEO integration is just the beginning of Retail + IoV + Intelligentization, in the days to come there’ll be more core elements involved, such as hotel reservation, mobile payment, auto insurance, energy industry and auto finance, to create a complete automotive ecosphere. Model Innovation：With more and more data and channels getting interconnected, there will emerge this innovative model of smart retail + IoV + intelligence in the automotive field, which is not a subversion of the traditional 4S dealership sales channel model, but instead a supplement to adapt to the era of intelligentization. Suning will work together with PATEO to jointly open the interfaces for the IoT, e-commerce, CRM and other technology & service platforms, and open up their user data to optimize product experience for smart retail users, e.g. assist automakers in developing more networks, and utilizing more sophisticated information management system to help them, from the big data perspective, find customers who are really interested in buying cars and understand their pain points. This means that the traditional circulation & retail model will be broken: After data interconnection, consumers will no longer have to confine themselves to the traditional stores or secondary outlets when buying a car, but could change their mindset to "Whatever I want will come true." Grasp users’ needs for services, serve the industry, and focus more on serving people. Integrate the power of channel interaction and data interconnection, and raise it to a high degree of synergy with enormous potential. On a deeper level, it means that the whole value chain of pre-sales + during sales + post-sales will also be upgraded: In the past, these three links were relatively disconnected, with each operating independently; there were certain ties between them, but not close enough. With the advantages of intelligence, the connection between the three will be closer, and the intelligent online-offline collaboration will allow the value chain to be redefined. Retail will become Smart Retail, and the data link, offline / online / operation platforms will be interconnected , so as to further improve the rationality of resource allocation, reduce operating costs and raise overall efficiency. At the same time, more new financial products, service products and mobility modes will be created in this new order. The smart home appliances business segment of Suning will get involved to connect the three scenarios of vehicle, mobile phone & home, thus providing infinite space for imagination, which is also a new attempt for the Chinese automotive industry. In other words, the automotive business sector will no longer remain rigid, but will fully embrace intelligence: online, integrate Suning Smart Retail + PATEO IoV to make car purchase easy; and offline, further sort out big data to provide more accurate solutions to user pain points. Power of E-commerce：SHG has now made remarkable achievements in the e-commerce field. Its business segments like 3C products, smart home appliances, fresh products e-commerce and entertainment e-commerce (e.g. Suning Sports, the owner of a large number of event copyrights) can be integrated with the IoV to create new value out of mobile payment + e-commerce for future China. 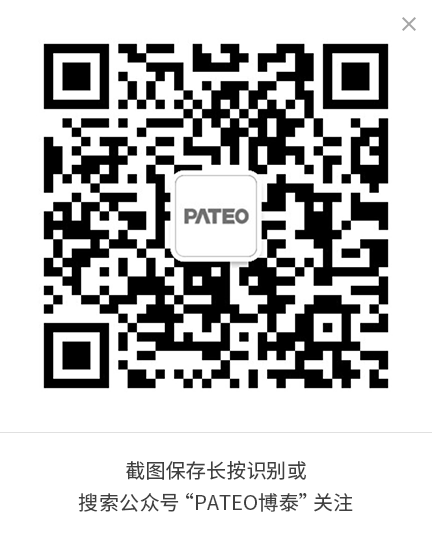 Power of Logistics：PATEO, who is already a leader in the Chinese IoV field, will integrate with Suning's logistics business. In fact, SHG has, to a certain extent, put unmanned logistic delivery vehicles in place. After the cooperation between the two parties, it is not impossible to have an unmanned logistics model featuring longer distance, higher efficiency and improved safety in a short time. Power of Channel：Suning enjoys powerful offline channels. During the Double 11 Festival (a special & biggest annual online shopping event in China) this year, the number of Suning stores will exceed 10,000, each of which will perform multiple functions related to goods, service & experience, etc. to achieve refined operation. Coupled with its innovative operations at the automotive & IoV business level, it is believed that such businesses as car wash, auto finance and auto insurance will be carried out in the future. Ken (Yilun) Ying, Founder and Chairman of Shanghai PATEO, said: “The Internet of Vehicles has entered the stage of business model development. The PATEO-Suning cooperation will, on the one hand, base on PATEO’s own vehicle infrastructure, automotive electronics, communications, software, cloud and operational services as well as the tens of millions of active users across Suning channels, to create a smart auto retail innovation model that is to be shared with car companies and the industry chain; and on the other hand, base on Suning’s customer contact scenarios to provide auto clients with industry-leading IoV products and business solutions in trading & finance, mobility & shared car, autonomous driving, city operation and more fields. Nowadays, the auto market has entered the times of meager profit, in which the pain point of OEMs lies in sales volume, while that of consumers lies in price. 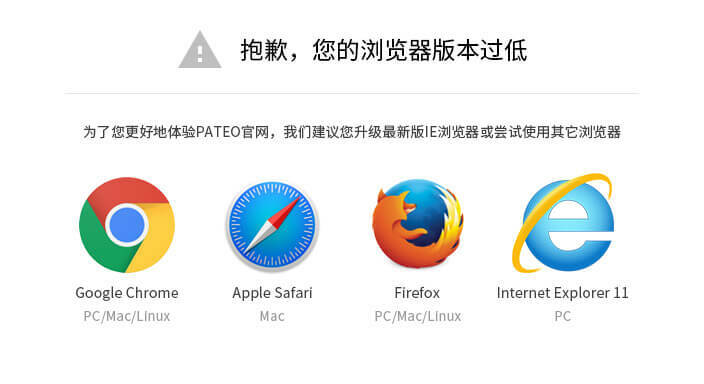 Faced with such a situation, Suning joins hands with PATEO to adapt to the trend of the times, exert an enlightening effect, and directly address the industry's pain points. Of course, there lie more implications behind this: The next decade will witness a new period of technological explosion, and the automotive industry is no exception. Suning and PATEO will leverage their own technical advantages to create a new travel business model and car sales concept; and use existing channels as well to rapidly promote mobility business, solve the last-km autonomous driving problem for shared mobility, and achieve breakthroughs in big data computing, car use experience judgment and even mobile payment.